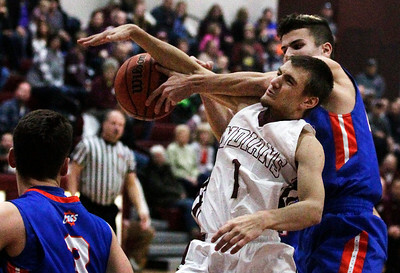 Matthew Apgar - mapgar@shawmedia.com Michael Volkening of Marengo, left, and Justin McNeal of Genoa-Kingston battle for a rebound during their boys basketball game on Friday, Jan. 29, 2016 at Marengo High School in Marengo. 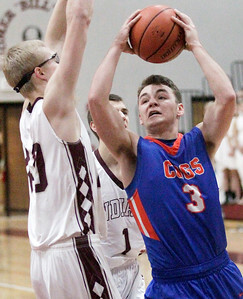 Matthew Apgar - mapgar@shawmedia.com Michael Volkening of Marengo, left, takes a shot over Bailey Foley of Genoa-Kingston during their boys basketball game on Friday, Jan. 29, 2016 at Marengo High School in Marengo. 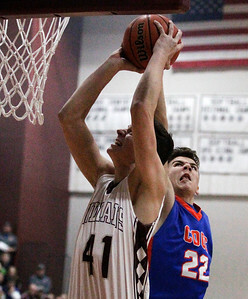 Matthew Apgar - mapgar@shawmedia.com Marengo's Timothy Bassuener, left, takes a shot but is blocked by Garrett Windau of Genoa-Kingston during their boys basketball game on Friday, Jan. 29, 2016 at Marengo High School in Marengo. 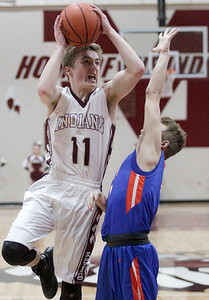 Matthew Apgar - mapgar@shawmedia.com Timothy Bassuener of Marengo takes a shot over Brandon Foley of Genoa-Kingston during their boys basketball game on Friday, Jan. 29, 2016 at Marengo High School in Marengo. 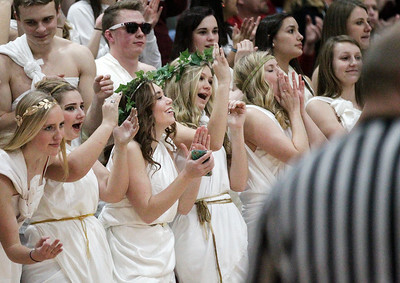 Matthew Apgar - mapgar@shawmedia.com Marengo fans cheer on their boys basketball players during their game against Genoa-Kingston on Friday, Jan. 29, 2016 at Marengo High School in Marengo. 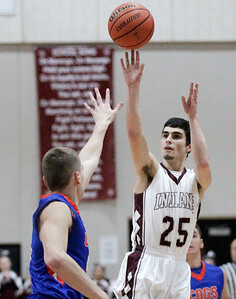 Matthew Apgar - mapgar@shawmedia.com Tommy Lucca of Genoa-Kingston delivers the ball to the hoop during their boys basketball game against Marengo on Friday, Jan. 29, 2016 at Marengo High School in Marengo. 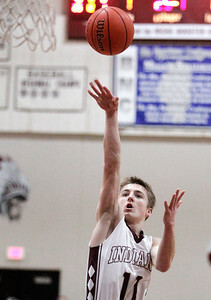 Matthew Apgar - mapgar@shawmedia.com Timothy Bassuener of Marengo delivers the ball to the hoop during their boys basketball game against Genoa-Kingston on Friday, Jan. 29, 2016 at Marengo High School in Marengo. 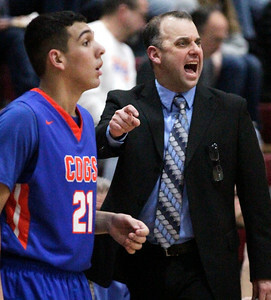 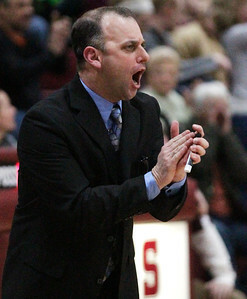 Matthew Apgar - mapgar@shawmedia.com Genoa-Kingston coach Corey Jenkins gets animated on the sidelines during their boys basketball game against Marengo on Friday, Jan. 29, 2016 at Marengo High School in Marengo. 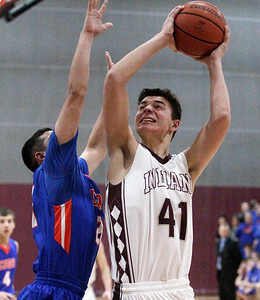 Matthew Apgar - mapgar@shawmedia.com Tommy Lucca of Genoa-Kingston takes a shot against Marengo's Benjamin Volkening, left, during their boys basketball game on Friday, Jan. 29, 2016 at Marengo High School in Marengo. 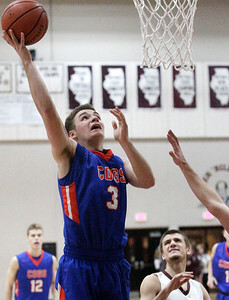 Matthew Apgar - mapgar@shawmedia.com Tommy Lucca of Genoa-Kingston reaches out for the rebound during their boys basketball game against Marengo on Friday, Jan. 29, 2016 at Marengo High School in Marengo. 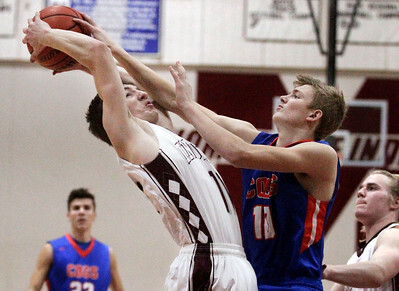 Matthew Apgar - mapgar@shawmedia.com Craiton Nice of Marengo, center, gets tangled up with Garrett Windau of Genoa-Kingston, right, as they vie for the rebound during their boys basketball game on Friday, Jan. 29, 2016 at Marengo High School in Marengo. 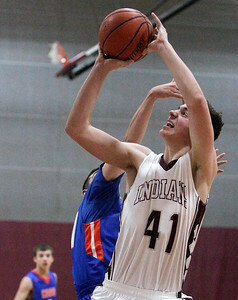 Matthew Apgar - mapgar@shawmedia.com Michael Volkening of Marengo shoots against Genoa-Kingston during their boys basketball game on Friday, Jan. 29, 2016 at Marengo High School in Marengo. 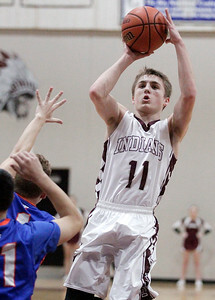 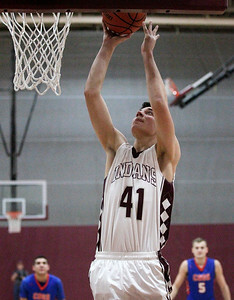 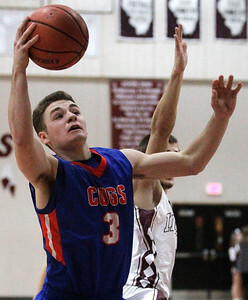 Matthew Apgar - mapgar@shawmedia.com Craiton Nice of Marengo shoots for three against Genoa-Kingston during their boys basketball game on Friday, Jan. 29, 2016 at Marengo High School in Marengo. 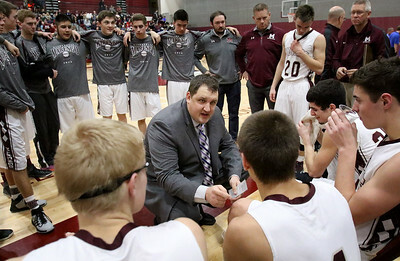 Matthew Apgar - mapgar@shawmedia.com Marengo coach Nate Wrights talks with the team during their boys basketball game against Genoa-Kingston on Friday, Jan. 29, 2016 at Marengo High School in Marengo. 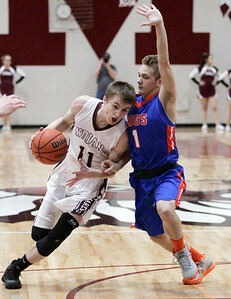 Matthew Apgar - mapgar@shawmedia.com Michael Volkening of Marengo, left, drives the ball downcourt against Bailey Foley of Genoa-Kingston during their boys basketball game on Friday, Jan. 29, 2016 at Marengo High School in Marengo. 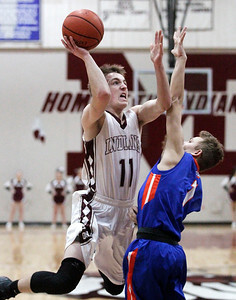 Marengo's Timothy Bassuener, left, takes a shot but is blocked by Garrett Windau of Genoa-Kingston during their boys basketball game on Friday, Jan. 29, 2016 at Marengo High School in Marengo.